From yoga to neuroscience, a tour of major ideas about the body and mind. 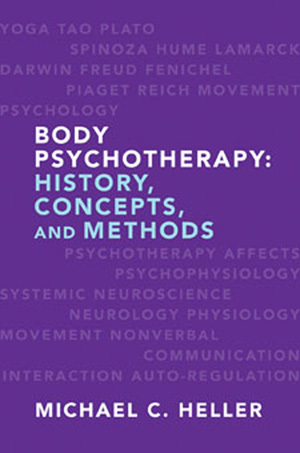 Body psychotherapy, which examines the relationship of bodily and physical experiences to emotional and psychological experiences, seems at first glance to be a relatively new area and on the cutting edge of psychotherapeutic theory and practice. It is, but the major concepts of body/mind treatment are actually drawn from a wide range of historical material, material that spans centuries and continents. Here, in a massively comprehensive book, Michael Heller summarizes all the major concepts, thinkers, and movements whose work has led to the creation of the field we now know as body/mind psychotherapy. The book covers everything from Eastern and Western thought—beginning with yoga and Taosim and moving to Plato and Descartes. It also discusses major developments in biology—how organisms are defined—and neuroscience. This is truly a comprehensive reference for anyone interested in the origins of the idea that the mind and body are not separate and that both must be understood together in order to understand people and their behavior.